The Concept Screener Line (CSL) units from Best Process Solutions (BPS) are powered by twin rotating motor vibrators designed to give a linear and straight line type conveyance action. The unit propels the product forward with a positive conveyance action designed to offer better stratification than typical sloped gravity or orbital type screeners. They are available in mild steel or stainless steel 304 or 316. 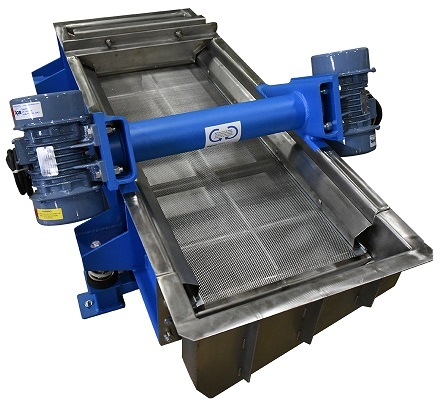 Screen options include finger screen, perforated plate, wire mesh, and wedge wire. Options include dust-tight covers, multiple screen desks, and multiple discharge locations. They are also available in single-motor designs.